Soprano Elisabeth Marshall has been praised for her “admirably flexible, gilt-edged voice” of “resonance and beauty” and “radiant sheen”, particularly in works of Bach, Handel, Haydn, and Mozart. She was a 2016 finalist in The American Prize’s Art Song and Oratorio division, and recipient of their Special Citation for “Outstanding Performance of Music before 1800”. Ms. Marshall made her Chicago Symphony Center debut in 2015 in Messiah (Apollo Chorus), which she has also sung with the Cincinnati Symphony, at Rockefeller Memorial Chapel in Chicago, and in Hailsham, England. Other notable engagements include Bach’s B minor Mass with Chorus pro Musica in Boston, Mozart’s Requiem at Rochester Cathedral in England, Mattäuspassion at the Oregon Bach Festival under Helmuth Rilling, and Beethoven’s Choral Fantasia with the Indianapolis Symphony under CBE Raymond Leppard. A passionate song and recital artist, Ms. Marshall was a 2017 professional fellow at SongFest in Los Angeles, working with Libby Larsen, and Martin Katz. She is a regular guest artist with the Brooklyn Art Song Society, and is featured on their 2015 debut studio album “New Voices” (Roven Records) in James Kallembach’s Four Romantic Songs, which OPERA NEWS hailed as “radiant” and “sensuous”. She has also performed solo recitals as a guest of the Gallery Concerts of Seattle, WA, and at the inaugural Kennebec Early Music Festival (Maine), among others. Equally at home on the opera stage, she has been hailed for her “precision” and “technical skill” as the Queen of the Night (The Magic Flute) in London, and has also been seen as Frasquita (Carmen), Rosalinde (Die Fledermaus) and Rosabella (The Most Happy Fella) at the Indiana University Opera Theater under the baton of Constantine Kitsopoulos, Elisetta (Il matrimonio segreto), and Susanna (The Marriage of Figaro). 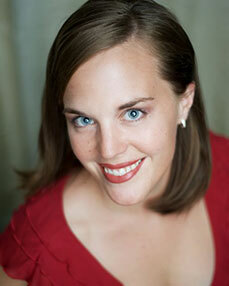 Ms. Marshall is an ensemble member of the Handel & Haydn Society, Oregon Bach Festival, and has frequently sung with the Lorelei Ensemble, Emmanuel Music of Boston, and previously with the Wexford Festival Opera, London Philharmonia Chorus, the Carmel Bach Festival, Junges Stuttgarter Bachensemble, and La Academia de Bach in Chile, with conductors including Helmuth Rilling, Leonard Slatkin, Masaaki Suzuki, and Craig Hella Johnson. Recipient of a Fulbright grant to the Hochschule für Musik und Theater in Leipzig, Germany, Ms. Marshall holds a Doctorate in Music from the Indiana University Jacobs School of Music, where her principal teacher was Carol Vaness. She has also worked in master classes, workshops, and coachings with prominent professionals including Roger Vignoles, Ned Rorem, Håkan Hagagård, and Suzanne Murphy.